We are now pleased to be offering Caedmon Audio titles on audio download through LearnOutLoud.com. 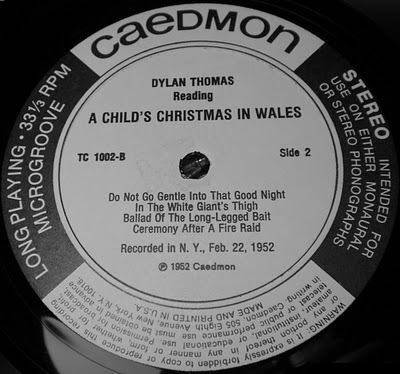 For over 50 years now Harper Collins' imprint Caedmon Audio has consistently published classic literature, drama, and poetry read by the authors or by renowned actors. They've recorded many full cast productions of William Shakespeare's plays. They also feature many modern literary classics and short stories by authors such as Kurt Vonnegut, Jack Kerouac, and Edgar Allan Poe, along with audio collections of Noel Coward, John Updike, and John Cheever. And many more titles including a whole lot of Shakespeare! Today's free audio book is a short but powerful message from the "Dean of Personal Development" Earl Nightingale. This recording is actually one of the recordings that helped to launch the spoken word industry. Produced in 1956, the spoken word record The Strangest Secret sold over a million copies, making it the first spoken-word recording to achieve Gold Record status. In only 30 minutes, Earl Nightingale lays out the secret for achieving success in life. Speaking against conformity and aimlessness in one's career, Nightingale encourages us to set goals and put all our thoughts and creativity upon these goals. He quotes from many of the greatest thinkers of all time who have pointed to this formula for success. He closes the record with 5 steps for achieving success, along with ways to overcome doubt, negativity, and fear. We've linked to the original recording on YouTube, along with a free recording available on streaming audio and MP3 download on markvictorhansen.com. In this free version you'll also get an introduction and commentary at points in the audio program by personal growth author Mark Victor Hansen who provides examples of how he used ideas from The Strangest Secret to achieve his own success. Also on markvictorhansen.com you'll see a free download of Mark Victor Hansen's eBook, "Chronic Profitability - How to Make Money All the Time". If you scroll down you'll see the audio version of The Strangest Secret. Nightingale was a true believer in the power of audio learning! In fact he cofounded the audio & video learning company Nightingale-Conant with Lloyd Conant in 1960. Enjoy this classic recording from Earl Nightingale! Happy 4th of July! We hope you had a great one. Today we present 10 presidential historians talking about 10 American presidents. First off here's a fun talk with Edmund Morris in serious jibber-jabber with Conan O'Brien about presidents. In this episode of the Conan's Serious Jibber-Jabber series, late-night talk show host Conan O'Brien sits down with Presidential biographer Edmund Morris to chat about the diverse men that have made up the American Presidency. Morris spent 30 years of his career chronicling the life of Theodore Roosevelt, who provided a particularly extreme model of lifetime accomplishment that is almost beyond compare. Using Roosevelt as a jumping off point, Morris and O'Brien discuss how Presidents like Taft, FDR, JFK, Carter, and especially Reagan came to assume the role of commander in chief, using their particular talent (or arguable lack thereof) to define a given age. Entertaining, anecdotal, and psychologically perceptive, Morris zeroes in on the type of person that is attracted to the Presidency, and why some personalities failed where others flourished. Teddy Roosevelt biographer Edmund Morris joins C-span for a long discussion on a key president that shaped the country in the years preceding World War I. Here Morris answers various questions on TR's life, including his reformist policies, his deep intellectual appetites, his life as a big-game hunter and later preservationist, and how the loss of his son put an abrupt end to his presidential ambitions. From minor questions about the origins of the Teddy Bear, to major issues surrounding the Panama Canal, Morris is able to guide viewers through the life of one the most colorful presidents the country ever had. If you like this talk, check out Theodore Rex by Edmund Morris on audio download. After winning a Pulitzer Prize for his biography of President Andrew Jackson, political writer John Meacham followed up his success with an equally modern assessment of Thomas Jefferson. In this lecture presented to Google Talks, Meacham tracks Jefferson's legacy, from his starting point as one of the first governmental leaders to apply post-enlightenment ideals, to the intellectual compromises that led to his doubling the nation's land with the Louisiana purchase, and finally to how he shrank from the specter of slavery despite deeply held personal beliefs on human liberty. In all, Meacham believes Jefferson was one of the rarest of all politicians: someone who could both plot a philosophical course for the country while at the same time devising means to make it happen. If you like this talk, check out Thomas Jefferson: The Art of Power by Jon Meacham on audio book download. In this hour-long interview provided by C-SPAN, author A. Scott Berg talks about the era-defining Presidency of Woodrow Wilson, and how his policies helped shape progressive politics well into the 21st century. Described by Berg as the first academic President, Wilson's idealism was constantly at odds with a hostile congress and a world-changing war. Berg also gives us details on Wilson's romantic side, and how he kept life-long health issues a secret from the public in an era where it was still possible to hide debilitating ailments from the news. If you like this talk, check out Wilson by A. Scott Berg on audio book download. 5. Steven Spielberg, Doris Kearns Goodwin & Tony Kushner Discuss "Lincoln"
Film Director Steven Spielberg, Historian Doris Kearns Goodwin and "Lincoln" screenwriter Tony Kushner talk about the difficulties and excitement of bringing Abraham Lincoln to life for the screen in this streaming discussion hosted by The Richmond Forum. Using Goodwin's book "Team of Rivals" as the basis for their 2012 hit "Lincoln", Spielberg and Kushner at first found it difficult to distill 900 pages into a 2 hour film that would properly explore Abraham Lincoln's legacy. Finally, Kushner focused on the drama surrounding the passing of the 13 amendment, and with Spielberg's guidance (and an Oscar-winning portrayal by Daniel Day Lewis), Lincoln came to life for 21st century viewers. Watch them discuss this long process, and offer up plenty of insight on why Lincoln has proven to be one of the most compelling figures in history. If you like this talk, check out Team of Rivals: The Political Genius of Abraham Lincoln by Doris Kearns Goodwin on audio download. When it comes to George Washington, there are over 900 biographies for readers to choose from if they wish to learn about America's 1st president. Despite this mountain of data, biographer Ron Chernow still managed to break fresh ground with his latest one volume portrait of Washington. Using recently brand new historical documents as a base, Chernow discovered a man that held intense emotions in check with an even deeper devotion to his duties as a leader of men. Chernow feels that the years have sanded down Washington's edges in our cultural memory, and with his book, we learn the facts of a man before they became the stories of a legend. C-Span hosts several superb guests at the John Adams estate in Quincy Massachusetts, for a lively discussion on the life and legacy of America's 2nd president. His most recent biographer David McCullough tells us that Adams' life was very well documented, because he may have been one of the few founding fathers that had such an acute awareness of the massive historical era he was living in. For over two hours, we learn about Adams' vital role in the American Revolution, meet his incredible wife Abigail, gain insight on the tense infighting that led to his short Presidency, and assess the Adams family legacy that continues with John Quincy Adams and beyond. If you like this talk, check out John Adams by David McCullough on audio book download. The ongoing historical interpretation of President Andrew Jackson has been a source of great controversy among scholars over the last few decades. In this lecture presented by The Miller Center of Public Affairs, eminent historian H.W. Brands considers the pros and cons of Jackson's presidency and addresses the stigma attached to anyone that may regard him in a positive light. This lecture is a great opportunity to learn about a man that many consider to be the first president of the modern era. This title is available on MP3 download and streaming audio from the Miller Center of Public Affairs. If you like this talk, check out Andrew Jackson: His Life and Times by H.W. Brands on audio download. Young, vital, and dynamic, John F. Kennedy defined a new age in American politics when he rose to the presidency in 1960 only to be cut down by an assassin within his first term. JFK Biographer Robert Dallek is interviewed for C-Span in this streaming video program that tracks Kennedy's life, from his pampered upbringing in a prominent family, to his eventful naval career, to a political life that eventually led to a brief but challenging presidency, where the height of space age optimism was undercut by the looming threat of global nuclear annihilation. Dallek is quick to point out Kennedy's faults, while at the same time offering measured approval of the trials he faced in a presidency that's proven popular in part due to its tragic, untimely end. If you like this talk, check out An Unfinished Life: John F. Kennedy, 1917-1963 by Robert Dallek on audio book download. Biographer Jean Edward Smith explains how Franklin Delano Roosevelt became the common man's President despite his wealthy upbringing. In this lecture presented by C-Span, Smith argues that there were three U.S. Presidents that dominated the country's history: Washington who fought for and presided over the birth of a nation, Lincoln who preserved it, and FDR who led America from poverty to world superpower within the span of 4 unprecedented terms. Smith also dispels FDR's rumored foreknowledge of the attack on Pearl Harbor, shrewdly assesses his tenuous, yet civil "partnership" with wife Eleanor, and provides further insight on the internal drive that made the man overcome paralysis to bring a country back on its feet. If you like this talk, check out FDR by Jean Edward Smith on audio book download. And here are some more talks on past presidents! Author Amity Shlaes sheds light on a rarely discussed President in this hour long program hosted by C-span devoted to Calvin Coolidge. After writing about the economic upheaval that shook the 1930's, Shlaes questioned why the government ran so smoothly in the decade leading up to the great depression. This led her to write a biography of the quiet President that presided over America's prosperous guilded age. Shlaes offers insight on what the country was like during a time of incredible growth, and introduces us to the power players that shaped an era that has in many ways been obscured by both the depression and later, the second World War. If you like this talk, check out Coolidge by Amity Shlaes on audio book download. Political Historian Vernon Bogdanor takes stock of the Reagan presidency in this lecture delivered at Gresham College. In this overview, Reagan is described as an unlikely president that nevertheless proved transformative following a caustic period in American history. This realignment of American leadership saw the end of the Cold War and a new era of U.S. dominance in world affairs; an accomplishment Bogdanor admits would not have been possible without Reagan's deft understanding of people. This lecture is available on streaming video and MP3 download through FORA.tv. In this lecture delivered at the World Affairs Council of Northern California, historian Margaret MacMillan discusses Richard Nixon's historic visit to China in 1972. In what she describes as a watershed moment in a long history of barely veiled antagonism between China and the western world, we see how various economic and geopolitical forces made a reconciliation unavoidable. In this crucial period of relaxed tension, China began its advancement to the modern world stage; an achievement presided over by a president with an otherwise tarnished political legacy. This talk is available on streaming video through FORA.tv. This is the first lecture from the Modern Scholar course The American Presidency taught by Professor Robert Dallek.In this first lecture in a series touching on how the U.S. Presidency changed during the 20th century, noted historian Robert Dallek begins with his take on Theodore Roosevelt. In this concise biographical sketch, Dallek describes Roosevelt as the great president that arrived at the turn of the century, painting the portrait of a charismatic visionary that cast a long shadow on his successor, President William H. Taft. In this introduction, Dallek develops themes that run throughout the course, providing students with an unparalleled view of how modern America was shaped by the men that led it. Pulitzer Prize winners were announced yesterday and author Jon Meacham won in the Biography category for his book American Lion: Andrew Jackson in the White House. In this lecture provided on streaming video by Google Talks, historian and Newsweek editor Jon Meacham picks apart the mixed legacy of President Andrew Jackson. Over the years, the 7th U.S. President has come under fire for his treatment of Native Americans, conduct that has not aged well in modern times. Meacham does not downplay the negative aspects of Jackson's presidency, but he does make claims for Jackson's innovations, not the least of which is his instrumental role in shaping the modern Democratic Party. This lecture is available on streaming video through YouTube. If you like this talk, check out American Lion: Andrew Jackson in the White House by Jon Meacham on audio download. American writer and and public intellectual Henry Louis Gates examines Abraham Lincoln's views on race in this interview conducted at the Aspen Institute. While the 16th U.S. President has achieved an eternal legacy for the emancipation proclamation, this does not mean that his personal views on race were quite as evolved. Gates explains how over the course of Lincoln's public life people like Frederick Douglass had a galvanizing personal effect on him, leading to Lincoln's later conviction that there was no important difference between the races. This talk is available on streaming video and MP3 download through FORA.tv. In this short lecture provided by TED Talks, Pulitzer Prize-winning biographer and historian Doris Kearns Goodwin explores what we can learn about life from the lives of the Great Presidents. In trying to balance work, love, and play, we see how the ambitious Lincoln was always trying to find respite in Shakespeare, and how Lyndon Johnson found it difficult adjusting to family life after the fast pace of the Presidency. Viewed through the prism of the Presidents, Goodwin demonstrates that even our most celebrated leaders had a hard time sustaining a balanced, happy life. This talk is available on streaming video and MP3 download. For many of us it may be hard to believe, but there was a time when Abraham Lincoln was labeled a dictator. In this lecture released by University Channel on downloadable audio & video, Historian James McPherson reintroduces us to a period during the American Civil War where Lincoln was forced into the position of war time commander. McPherson traces Lincoln's decisions during the suspension of habeas corpus, gives perspective on the mistakes made, and guides us through the process that eventually led to emancipation. This is an incredible portrait of a president under pressure and what it takes to lead a country during precarious times. This lecture is available on streaming video. In this concise recap, FRONTLINE traces the entire Barrack Obama presidency up to his 2012 second-term win. Starting with an immediate struggle to regain a foothold on the economic plunge that hit the country just after the 2008 elections, this video documentary explores Obama's contentious relationship with the GOP leadership, his first year devoted to health care reform, and the eventual killing of Osama Bin Laden. Through it all, the filmmakers interview key witnesses to the events that have shaped the last 5 years in Washington, and end with a note that sets up all the issues Obama faces as he enters his second four years in the White House. We'll keep adding more features of presidential talks here to this blog post in the future!